I’m going to this. You should too.. Thanks to FutureShape. Usual rules apply. Thought I should put this out to any plannersphere folk who haven’t seen this yet. It promises to be good fun. Hope to see you all on Thursday. Is this the post that will make Colman and myself happy? Nope. It’s coming…let me finish my Excel chicanery, and then I’ll post it. Brilliant marketing. 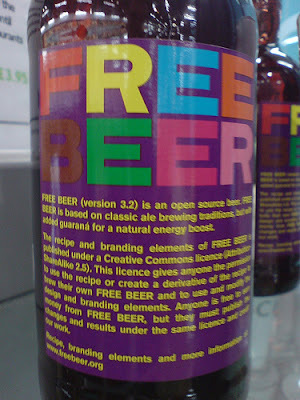 Free anything is good, brings to mind another great idea – free things that advance our society – kind of like free water, or free or even regulated internet access. How about some free net neutrality, regulated bandwidth and evening out the global competitive landscape, giving the US a chance to succeed? This really is like beating a dead horse, but out of home advertising with the words FREE and MORE in it would certainly help the cause.